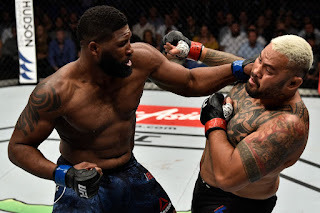 It wasn't easy, but after a grueling 15 minutes Curtis Blaydes secured a unanimous decision win over Mark Hunt in the co-main event of UFC 221. After getting badly rocked in the first round by Hunt's punches, Blaydes recovered and rebounded to use his vaunted wrestling chops to take Hunt down, control him on the mat, and land vicious ground-and-pound. The judges scored it 30-26, 30-26, 29-27 in favor of Blaydes, who improves to 4-1, 1 NC so far in the UFC. I wrote earlier this week here at MMARatings that a win by Cain Velasquez's UFC record of 11 against Junior dos Santos at UFC 155 -- Blaydes showed the MMA world that he's ready for primetime. He showed that he could take Hunt's best shots and come back to beat him soundly, and it was an extremely impressive performance to say the least. So now what's next for Blaydes? Well, it only makes sense that he continues to move up the ladder, so there are a few options in front of him. Blaydes came into this fight ranked #9 by the UFC and will jump ahead of Hunt, who was #5. Obviously Blaydes isn't getting the title shot next, because UFC Heavyweight Champion Stipe Miocic is already set to face Daniel Cormier at UFC 226 after coaching The Ultimate Fighter, and he likely won't be fighting #1 contender Francis Ngannou, as Ngannou already beat Blaydes two years ago. #3 Fabricio Werdum is fighting #7 Alexander Volkov, which leaves #2 Cain Velasquez and #4 Alistair Overeem. Velasquez is always a health risk, so you can't count him, leaving Overeem as a fight that makes a lot of sense. 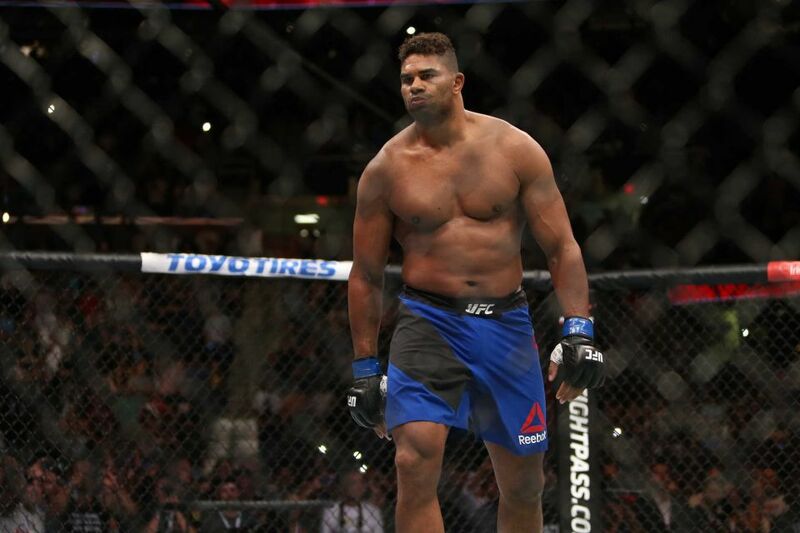 Although Overeem is coming off of a brutal KO loss to Ngannou, he's still an elite heavyweight and capable of beating any other fighter in the division on a good night. He's getting up there in age, but he's still one of the most complete fighters in the division and is capable of outstriking or outgrappling anyone. 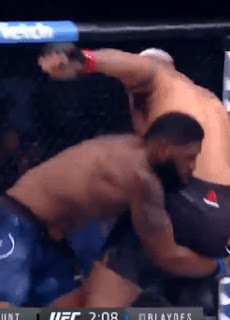 And he may also best be served as a gatekeeper, to test whether new blood like Blaydes is ready for the title, and that's why I think the UFC should book this matchup next. There's a lot to like about Blaydes. He's only 26 and has already achieved a top-5 ranking in the UFC, and he continues to get better every time he fights. His striking is getting better, his takedowns are ridiculous, he has a good chin, and he has good cardio as well. He's a very impressive fighter and has the potential to be even better. As shallow as heavyweight is, Blaydes is a legitimate prospect and has the potential to be a title challenger. 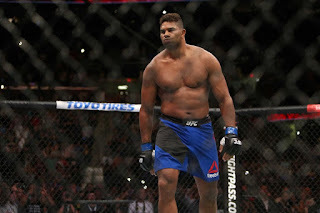 Another win over a top guy like Overeem, and it would be hard to deny "Razor" his shot at gold.